While looking for fun things to do this summer, one of our go-to activities is the pool. Kids can spend all day swimming, splashing, and playing in a pool. I remember spending time at the pool as one of my all-time favorite things to do in the summer when I was younger. 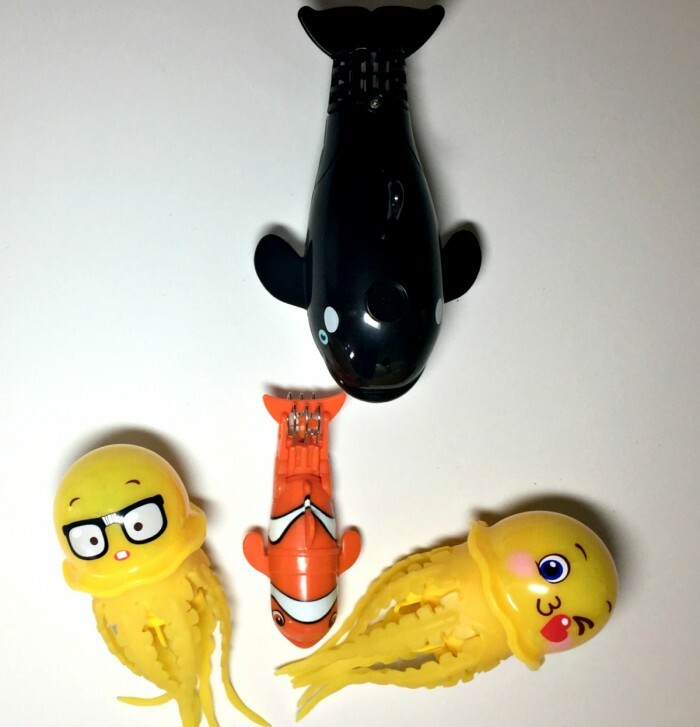 Thanks to brands like Lil’ Fishys with The Women Bloggers & Soapbox Influence for recognizing that kids love water and providing them with fun motorized water pets and sponsoring today’s conversation. My son loves going to the pool. As a parent, I love spending hot summer days at the pool with him. Getting together with friends and watching all the kiddos swim and playing pool games is one of my favorite summer activities. Recently I received some of the cutest water pets. Yes, water, “pets”! 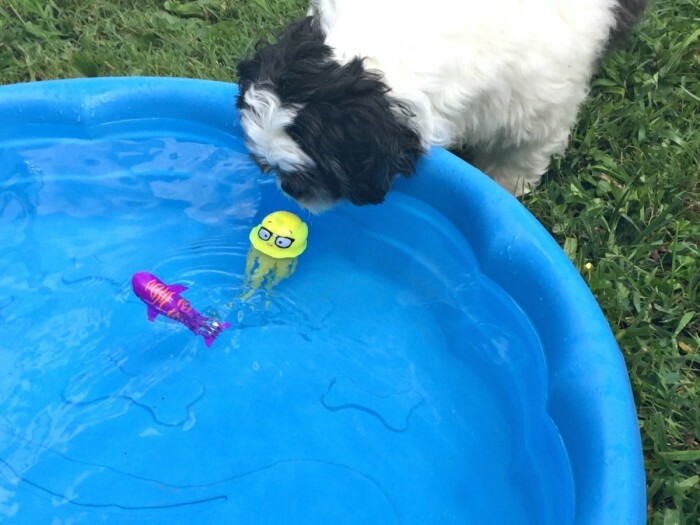 These motorized water pets are not only the perfect pool toys, but you child will love keeping these cute, fun, no-fuss, no-mess pets all year round. They require AAA batteries, not included. Meet Lucky. He is adorable! He requires one (1) AAA battery, and you can adjust the way he swims by adjusting his tail, either up or down. Meet Orky. 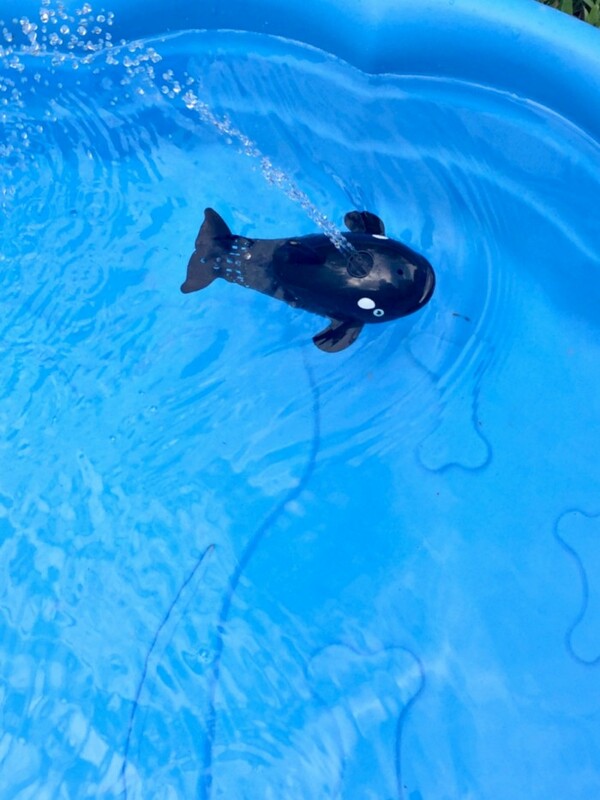 She spouts water as she swims around and although I love all the Lil Fishys, this whale is my favorite. She’s a “whale” of a lot of fun! She takes two (2) AAA batteries. 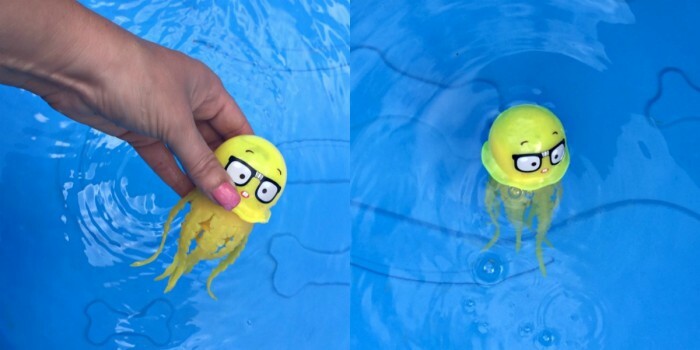 These cute jellyfish swim so life-like. I love that they glow-in-the-dark, and we can’t wait to play with them in the pool at dusk or after dark. The Lil’ Fishy’s jelly fish take two (2) AAA batteries. 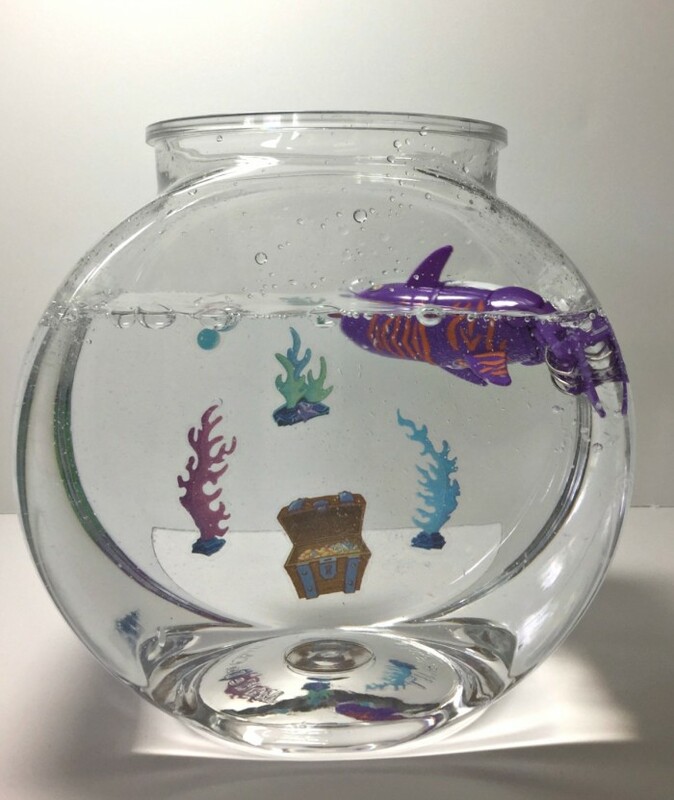 The small fish tank comes with stickers to make your tank come to life and a Baby Tiger shark. Baby Tiger is like the Lil’ Fishys Minis, as he takes one AAA battery and swims differently depending upon whether you adjust his tail up or down. 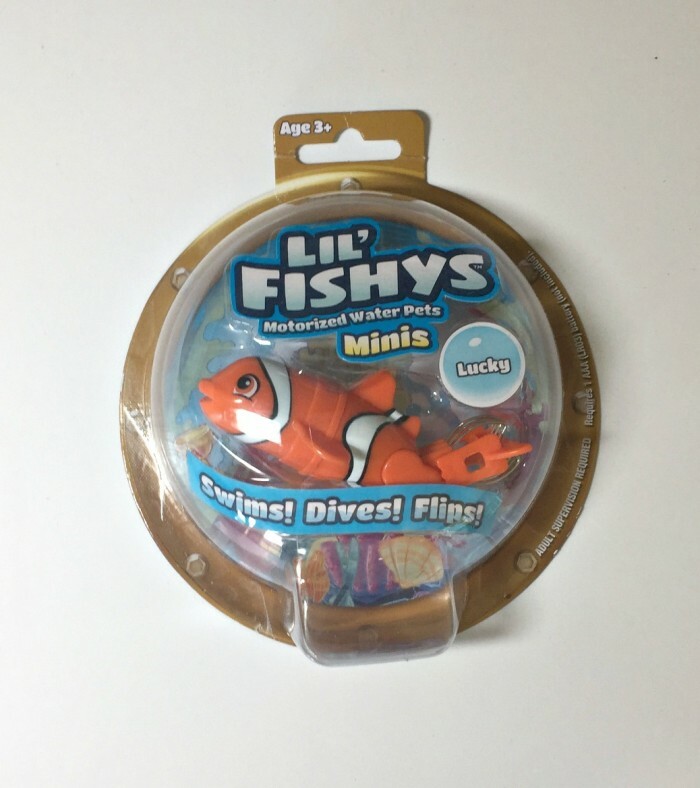 The Lil’ Fishys micro habitats are great for kid’s rooms since their like having a real water pet but these fish will last forever. Between the weather not cooperating and other of life’s interruptions, we haven’t been able to get to the pool this week. 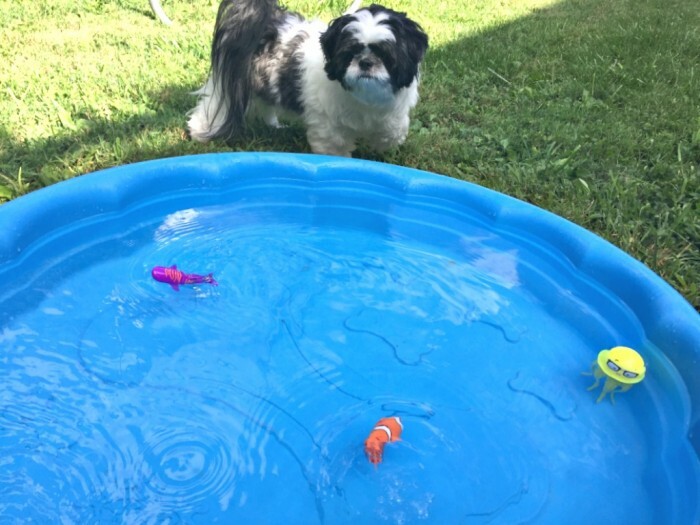 We really wanted to try the Lil’ Fishys out, and I wanted to show you how cute they are, so our pup, Baxter, graciously allowed us to use his doggie pool to try them out. 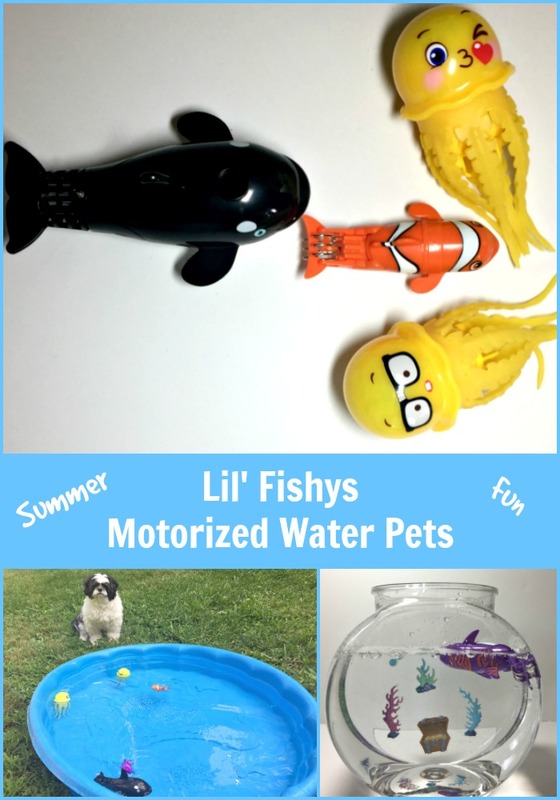 I can’t wait to take our Lil’ Fishys motorized water pets to our local pool soon so all the kids can play with them. I’ll be sure to update this post with some photos of all the fun. You can find Lil’ Fishys at most department stores like Walmart.